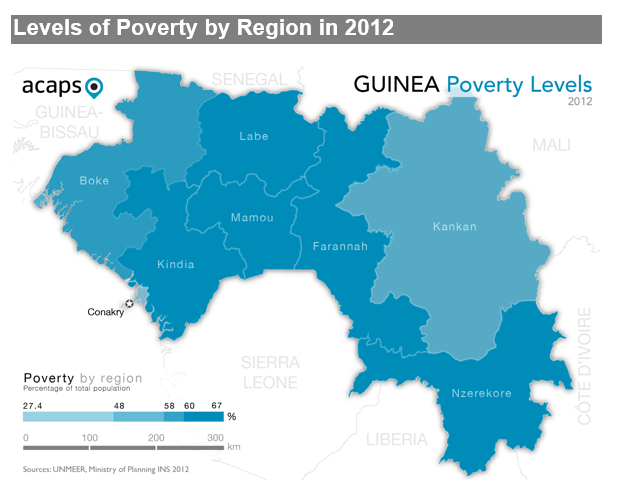 On 13 November ACAPS changed the status of the crisis in Guinea to No Severity, as its compounding factors were found more related to long-term development issues than acute humanitarian ones. Developments in the country are still being monitored on a daily basis. Deterioration of the food security situation driven by the lean season from June to September put over 285,500 people in Crisis (IPC Phase 3), up from approximately 109,980 people from March to May. 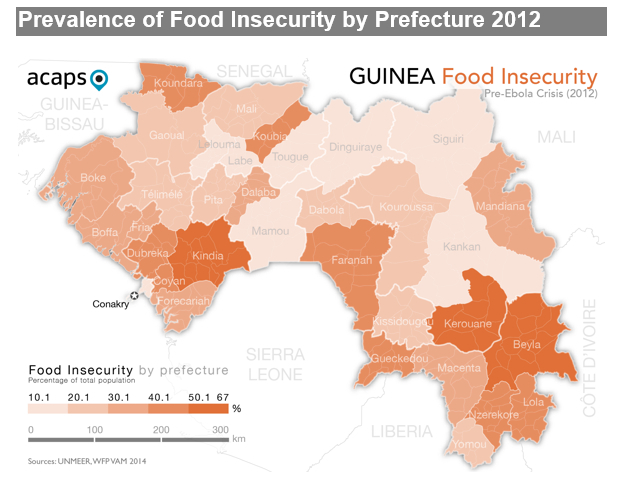 Humanitarian needs in Guinea spiked in 2014 and 2015, when the Ebola epidemic caused a severe crisis throughout the country. 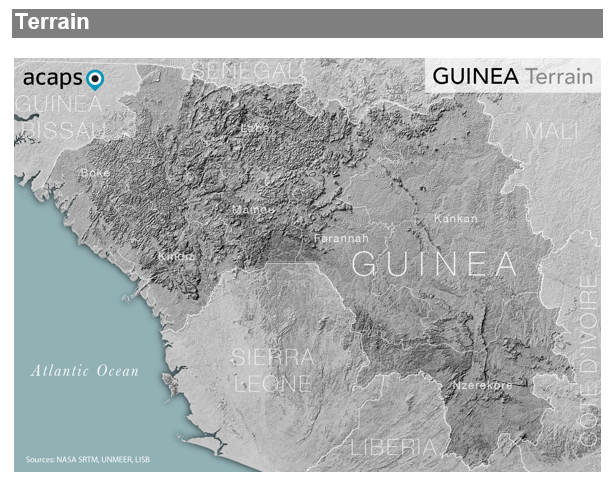 According to INFORM, Guinea's risk of being overwhelmed by humanitarian crises and disasters in 2018 is at 5/10. Hazard, vulnerability, and a lack of coping capacity are at rates of 3.6/10, 4.7/10, and 7.4/10. ? 01/02: On 1 February, the Ministry of Health confirmed a case of Lassa fever in Kissidougou prefecture. Another two suspected cases of viral hemorrhagic fever were detected between 2-7 February: one tested negative, one result is pending. Though case numbers are low, the presence of the virus might be more widespread and under reported. 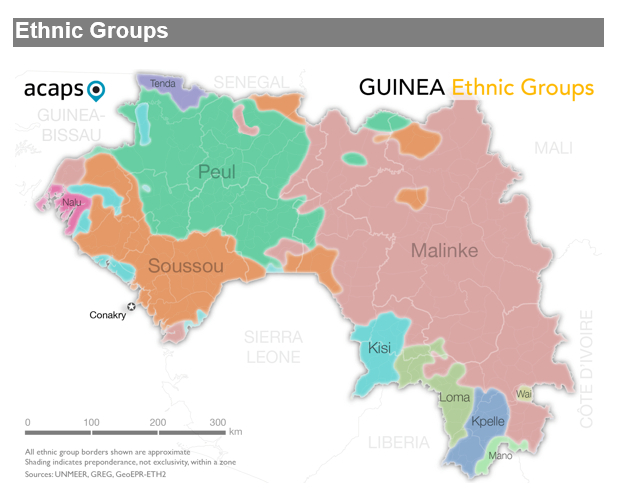 This is the first officially reported indigenous Lassa fever case in Guinea in the last 20 years. ?